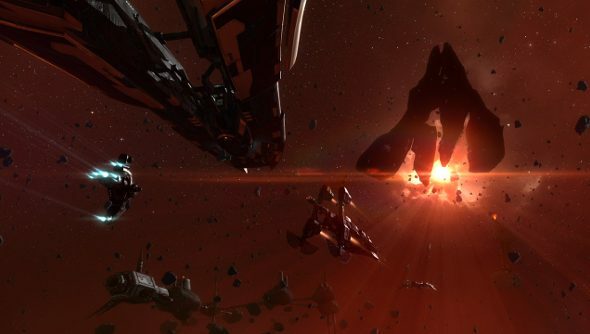 EVE Online has received it’s first update of 2015 in the form of Proteus, released today. It’s not the largest of the mini-expansions, but CCP has still crammed in a lot of changes and tweaks as well as continuing its effort to make space a bit fancier with an asteroid facelift. One of the most significant changes in Proteus is the redesign of the Recon class of vessels. CCP says the most notable part of the new design is that Combat Recon ships are now immune to directional scanners, making them very sneaky buggers. Explorers and miners have been given more to do, and the galaxy has been filled with more mining areas and tricky exploration sites surrounded by dangerous traps and hazards. You’ll need to channel your inner-Indiana Jones to get the sweet loot. CCP’s is also continuing the streamlining of the game – though they promise that it’s not at the expense of sophistication – by fiddling with 10 more groups of modules, simplifying them. And the opt-in beta for the new star map has been updated, too, with new features and pretty visual additions based on feedback from testers. Proteus is live now, so you can take off and check it out right this blooming second.